In my paintings, I express my emotions. I try to translate feelings into visual creations. To stay fresh and alive my work moves in different directions. 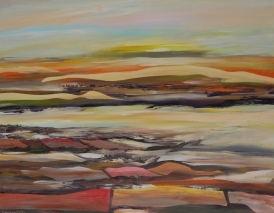 I express myself through the making of landscapes, abstract and surrealistic paintings. Considering every piece as a different aspect of my personal way of evolution. Following the desire to be constantly in motion, I learn from every corner of my creations. 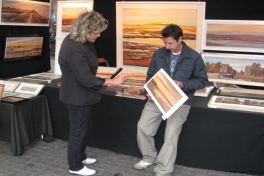 From March until June, and from September until Christmas every Sunday on the Art Plein Spui in Amsterdam, presenting a selection of “Dutch feeling”- paintings, drawings & pastels. Here all the work of Denis le Gallic is presented and to visit at any time, but only on appointment. Address: Donker Curtiusstraat 2A, 1051 JN Amsterdam.